The IF Ratings® predict how various foods and combinations of foods are likely to affect inflammation in the body. The larger the number, the stronger the effect. Foods with positive IF Ratings support the body’s anti-inflammatory processes. Foods with negative ratings may contribute to inflammation, especially when consumed in excessive quantities. Keep in mind that the IF Rating is dependent on serving size. Look up the IF Ratings of foods. The idea is not to eliminate all foods with negative ratings. 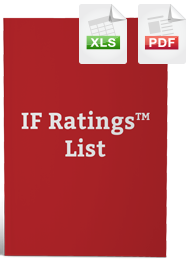 Rather, the IF Rating system helps you balance the inflammatory and anti-inflammatory effects of the foods you eat. When you add up the IF ratings for all the foods you eat in a day, even though many individual foods may have negative IF Ratings, the total should ideally be in the positive (anti-inflammatory) range. Note: It’s also important to have a balance of fats, protein, and carbohydrates in your diet and to eat an appropriate number of calories. The IF Tracker mobile app lets you look up and track IF Ratings as well as calories, fats, protein, and carbohydrates on your mobile phone or tablet. Why do some healthy foods have negative IF ratings? When people first get to know the IF Rating system, they are often confused by the fact that foods like oatmeal or apples have negative ratings. How could healthy foods like fruits and whole grains be inflammatory? Fruits and grains are wonderful, wholesome foods. But a diet consisting of nothing but apples and oatmeal would not be balanced or healthful diet. Just as you need quality protein and fat to balance carbohydrate sources like fruits and grains, you also need to balance the inflammatory and anti-inflammatory effects of foods you eat. The IF Rating system is a simple way to keep all of these factors in balance. 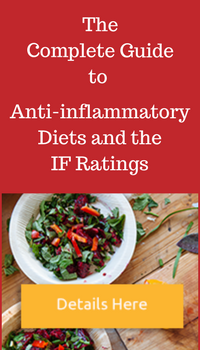 For a detailed guide to understanding and using the IF Ratings, along with anti-inflammatory recipes, please see our Complete Guide to Anti-inflammatory Diets and the IF Rating System. New! 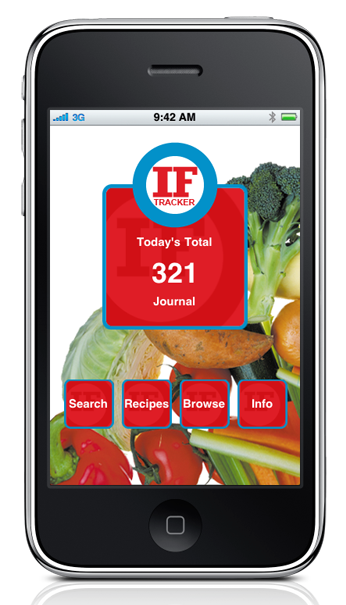 Look up IF Ratings and track your diet on your smartphone with the IF Tracker, available for iOS and Android devices.